Can I skip this page, when I'm redirected? Yes, FireShot Pro creates PDF files from web pages with direct links. FireShot Pro - what's this? FireShot Pro is a web extension, that adds a button to your browser. With FireShot Pro you can create full web page screenshots, save them to PDFs with direct links, or create PNG or JPEG images from web pages. FireShot Pro is not just a web page grabber. It provides a built-in Editor, so you can edit the captured page, blur sensitive information, highlight paragraphs or images, and add comments. Additionally, you can configure FireShot Pro to create watermarks, headers and footers using smart templates. 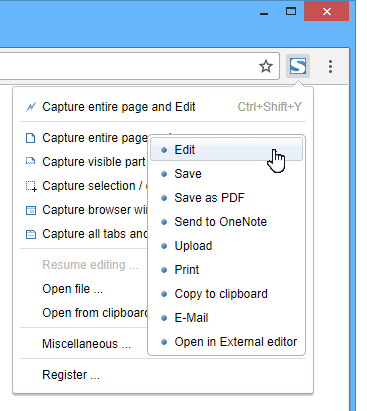 With the built-in Print dialog, you can print web page screenshots, and get exactly what you want to see on a paper. 33% discount on FireShot Pro. Pay less, do more! Capturing web pages have never been so easy! But FireShot Pro isn't just a web page capture tool. This is also a good tool for quick editings and annotations. © 2008 — 2019 getfireshot.com.